Find all the participants and check the allocation to excursions. E-mail us at events@codart.nl if you find any omissions. Check the participation list to see if you are registered for the visit to La Granja on Sunday 19 June. The bus will depart from the congress hotel. Please make sure to be outside at least 15 minutes in advance, so the bus can leave at 11:00 am sharp. We will provide lunch packets. Once we arrive at La Granja we will have a guided tour and afterwards free time. The bus will head back to Madrid at 15:00 to arrive at 16:30 at Museo Lázaro Galdiano for the exclusive visit and the opening reception. During the exclusive visit to the museum we offer a short attribution session organized by the museum’s Chief Curator Amparo López Redondo. 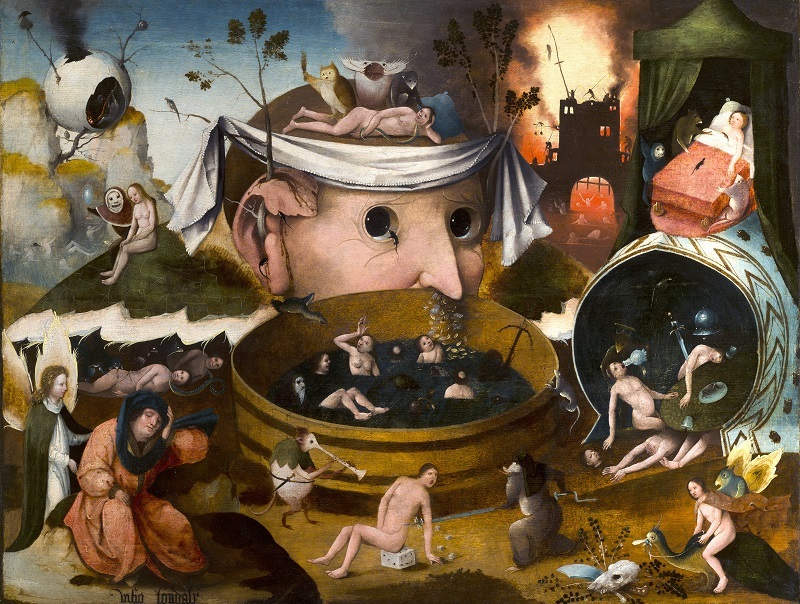 From 17:15 she invites you to come to the Dutch and Flemish room to share your opinions about a painting formerly attributed to a follower of Jheronimus Bosch. 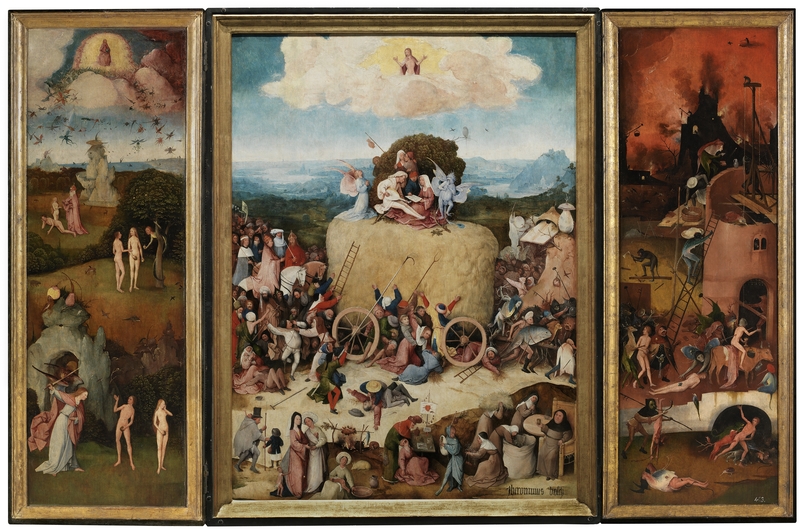 After thorough restoration and investigation the museum wants to reconsider the attribution and welcomes everyone to discuss the authorship of the painting. 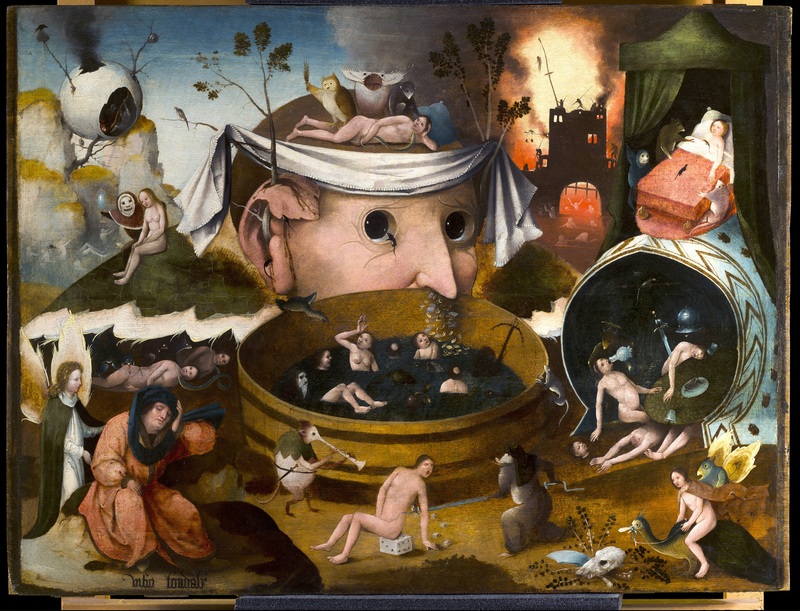 Formerly attributed to a follower of Jheronimus Bosch (1450-1516), The Visions of Tondal, after 1479, Museo Lázaro Galdiano, Madrid Click the image to enlarge. Infrared reflectography and X-radiography images are available upon request. To register for CODART NEGENTIEN please fill in the registration form and return this to events@codart.nl. Please look carefully at the choices on the registration form and fill in all applicable spaces. After receiving your registration form, a confirmation will be sent to you by e-mail with an invoice to pay the congress fee. The congress fee is 375 euros. The fee includes entrances to all museums and institutions visited during the congress, the opening reception, the congress dinner, one lunch on Monday and coffeebreaks. Not included is lunch on Tuesday, and travel costs for public transport in Madrid. 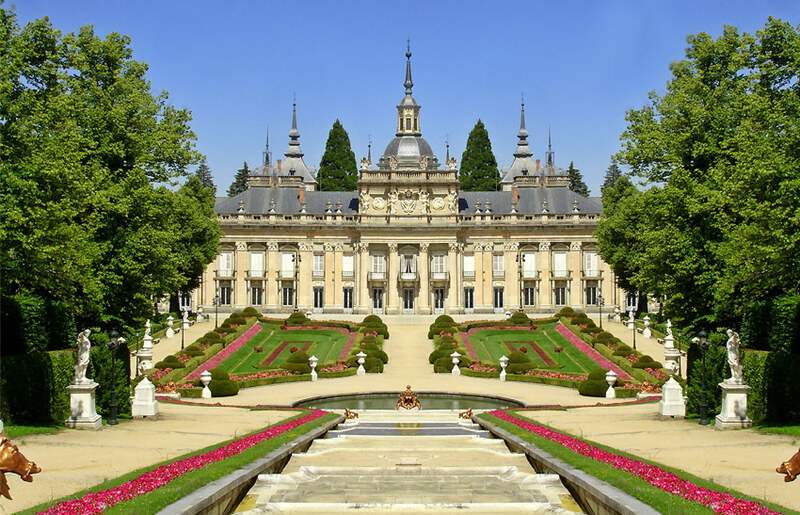 Please note that the excursions to La Granja and to El Escorial require an extra fee to cover transport, entrance fee and lunch on the bus. To qualify for the early registration rate of 375 euros, we must receive your registration form on or before 27 April 2016. Registration after 27 April 2016 is 425 euros. You can pay your congress fee online by clicking here. See if we have booked the correct (number of) nights for you and let us know soon if we need to change anything. We ask you kindly not to contact the hotel directly about your reservation. Because we have a group reservation, all questions and requests should go through us. The Hotel Paseo del Arte (Calle de Atocha, 123, 28012 Madrid) is conveniently located at walking distance of both congress locations. Costs per night for a single room are €100 and for a double room €108. Room rates include breakfast, taxes and Wi-Fi. Participants will pay hotel bills individually at check out. To book an airplane ticket to Madrid we advise you to compare flights on the website www.skyscanner.nl. Be fast and still find affordable tickets to Madrid. A good way to travel from the airport to the hotel is to take the Airport Express, a 24-hour bus service which has only 3 stops after the airport: O’Donell, Plaza de Cibeles and Atocha (near the hotel). The buses run every 15 minutes during the day and every 35 min. at night. The journey takes approximately 40 minutes. Tickets cost 5 euros and can be bought on board. There are stops right outside the terminals T1, T2 and T4. In and around Madrid the easiest way to travel is by public transport. In particular, Madrid has a quick and convenient metro network. A Tourist Card can be used on all public transport, without travel limits within the period of validity. The card can be purchased at all metro stations and is valid for 1, 2, 3, 5 or 7 days. Find more information here. A map of the Public Transport system is available in PDF. From bus stop Atocha (near the hotel) and from the bus stops on Paseo del Prado buses run every five or ten minutes to Gta. Emilio Castelar bus stop. From there it is a six minute walk to the museum. You can buy tickets on the bus. You can also take the metro from Atocha to Gregorio Marañón. Travelling from the hotel to the museum will take half an hour.